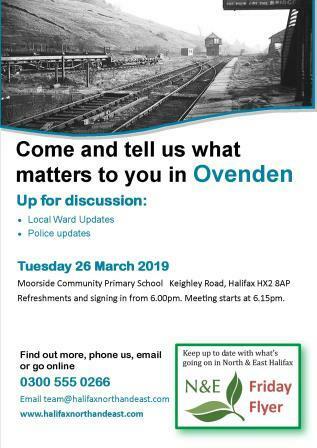 On Tuesday 26 March 2019 at Moorside Community Primary School (new building), Keighley Road, Halifax HX2 8AP. Refreshments and signing in from 6:00pm. Meeting starts at 6:15pm. The minutes of the last meeting held on Tuesday 27 November 2018 can be downloaded here.